NEW YORK, NY - SEPTEMBER 16, 2014 - Alive Mind Cinema announces the DVD release of the critically-acclaimed documentary Flex is Kings , which looks at an exciting new dance movement, "flexing", that sprang up on the streets of Brooklyn and has exploded into an expressive new DIY art form. The documentary, which was an Official Selection of the 2013 Tribeca Film Festival, examines the social conditions that influence and inspire the movement, and the creative dancers who have pioneered this innovative new form of dance. 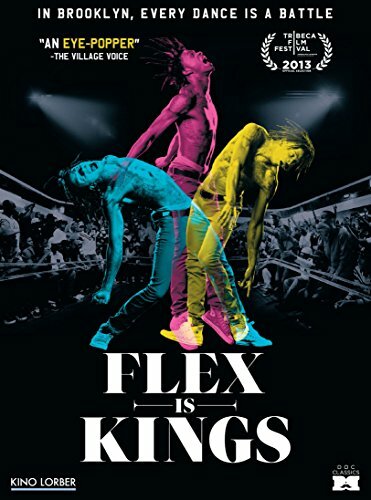 Flex is Kings comes to DVD on October 7th, with a SRP of $29.95, and contains special features such as deleted scenes and the theatrical trailer. SYNOPSIS: Flex is Kings is a riveting, awe-inspiring look inside the world of 'flexing', a type of street dance native to Brooklyn. Shot in the neighborhood of East New York at the end of a handful of subway lines, the film profiles young men struggling to express themselves and create a positive force in their community in the face of high crime rates and few opportunities for advancement. Directors Deidre Schoo and Michael Beach Nichols take audiences along on the emotional journey of several dancers including Flizzo, an unconventional and charismatic showman, and Jay Donn, the innovative auteur, as they vie to make something of themselves by battling it out through this explosive DIY art form.